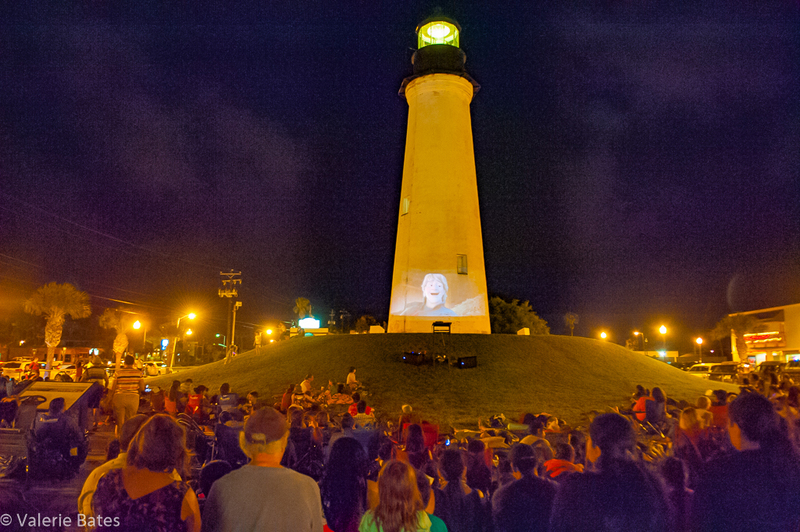 The Lighthouse Establishment Cinema will begin Season 12 on June 3, 2016! NINE movies are scheduled for FRIDAYs in JUNE & JULY, starting at 9:30 p.m. 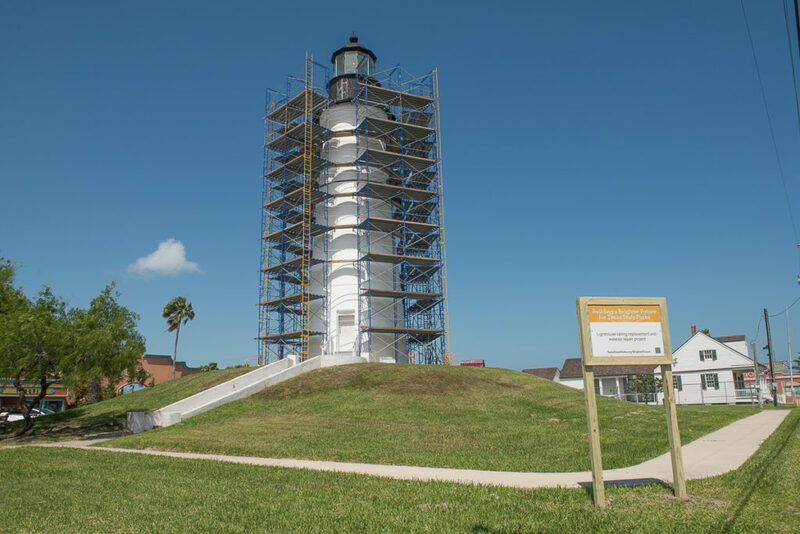 The public is invited to bring lawn chairs, blankets, picnics and friends and family for a memorable evening on the grounds of the historic Port Isabel Lighthouse. For more information, contact the Museums of Port Isabel at 956/943-7602 or email Museum Administrator, Jeannie Marie A. Flores at jrivera@copitx.com. NO ADMISSION CHARGE. 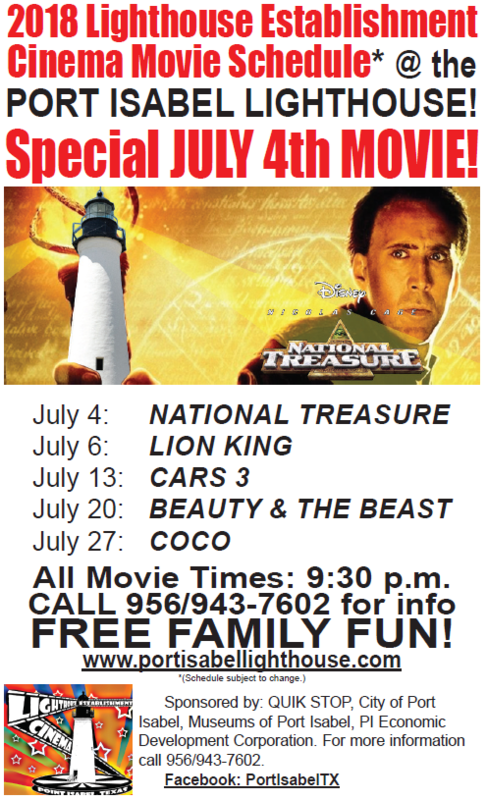 Concessions available.THANKS to the Museums of Port Isabel, the City of Port Isabel, the Port Isabel Economic Development Corporation and our generous sponsors! If you would like to participate in a sponsorship, call the Museums of Port Isabel, Jeannie Marie A. Flores at 956/943-7602 or email jrivera@copitx.com.